How do you minimize human-made negative effect on the environment? How do you find a solution that will be adopted by many people and can truly have an influence? 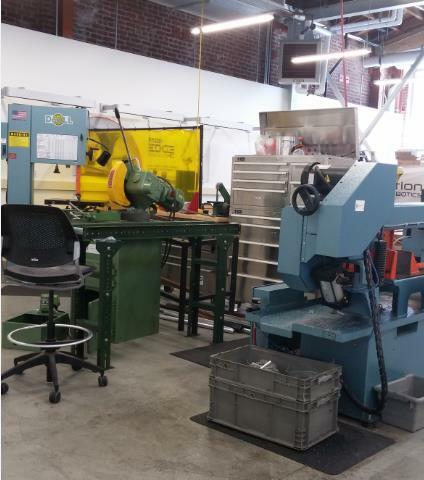 I got a pretty good idea when we visited the LA Cleantech Incubator (LACI) facilities. This substantial influence should originate from a technology that will be implemented in multiple households, not necessarily because its consumers believe in green technology, instead, because it’s just a good quality product that fits their needs, and which was invented and developed by people who care about the environment and wish their products to advance their beliefs. In our visit to LACI, led by Kevin Randolph, we saw the infrastructure and support for allowing these ideas, coming from a variety of disciplines, come to life. LACI identifies local entrepreneurs across multiple cleantech business sectors and guides them to market, creating jobs that advance LA’s green economy. Each company can use the various labs in the building, the free legal consulting, marketing support, and most importantly, an hour a week with one of the incubator’s managers. Mr. Randolph spoke about the difficulties of engineers to get their technology-based idea, across to potential investors and collaborators. LACI seems to help many entrepreneurs in these and other problems, as 67 companies in LACI raised $132M in funding in just five years. Rain Systems is a company that was especially intriguing for me. They inject a cross-link polymer (CLP) at root level in turf, which helps conserve 50% of the water needed to irrigate and maintain healthy, green grass. I liked the elegant, relatively simple to implement solution. I also wonder if this, or other novel polymers, can be used in soils for crops growing. This type of invention can have an effect on developing countries that struggle with drought. I was also inspired by the fact that in this 100 year old building, it is possible to use existing water and energy saving solutions. For example, all the lighting comes from LED lights, the parking lot is tilted so that rain water is collected and used to water the greenhouse, and a playground that is used by the nearby community is watered with grey water. I hope that from this impressive environmentally friendly building, many influential clean technologies will evolve.